Sphero’s Force Band, a gesture-based wearable remote that made you feel like an actual Jedi while you controlled its wildly popular BB-8 toy, is now further increasing your ‘mastery’ of The Force with the addition of IFTTT support letting you control other things in your home, including your smartphone, using simple arm motions. Ever since it was revealed earlier in the year at CES, Sphero has been hinting that its motion-sensing Force Band would eventually be more than just an accessory for its BB-8 toy. Through its dedicated mobile app, users have access to other activities such as using the Force to hunt down holocrons, or pretending to wield blasters and lightsabers, complete with authentic sound effects, with the Force Band strapped to their wrist. Ponying up for the pricey $150 BB-8 toy wasn’t required to use the Force Band, but controlling the self-rolling toy using Force-like arm gestures has certainly been the wearable’s biggest selling point. However, now that the Force Band works with the IFTTT (If This Then That) automation platform (you’ll need to make sure you’ve got the most recent versions of both apps) there are suddenly an infinite number of reasons to justify the wearable’s $80 price tag. When creating a custom applet using either the IFTTT mobile app or web portal, Force Band users can now select one of three different triggers based on the various Jedi-inspired arm motions the wearable can detect, including Force Push, Force Pull, and Force Stop. You can load up a pre-made applet that will trigger John Williams’ The Imperial March with a simple push of your arm, or design your own slightly more practical applet that can turn off your smart lights using a different gesture. 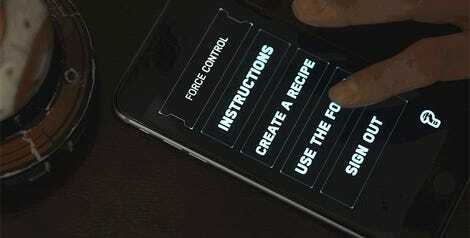 Will the Force Band’s IFTTT support make your life a little easier? For the most part, no. But it will help make your Jedi fantasies feel a lot closer to reality, which is all any Star Wars fan really wants. Got a bunch of Philips Hue smart lights at home? Now you can control them like a lazy Jedi. How much Jedi-like control you have over your smartphone, your favorite mobile apps, or the smart appliances around your home, is dependent on which platform you’re using. You can do a lot more with IFTTT when paired with an Android mobile device and apps than you can with iPhones, iPads, and iOS. But that’s not to say that Apple fans will feel like Jedis-in-training, with limited powers, when trying out the Force Band’s new tricks. The real beauty of the IFTTT platform is how flexible it is, and through experimentation you’re bound to come up with an applet that makes you feel as powerful a Yoda.